The Birdy Slim is operational in VHF, UHF or 900 MHz frequency ranges and has narrowband or wideband capability. The large LCD Display can show up to 8 lines of messages at 16 characters per line. The LCD also has a multi-color programmable Backlight feature and auto screen rotation capability. The synthesized Birdy Slim pager can be programmed with 128 alphanumeric/numeric/tone cap codes, each with 4 sub-addresses. The sub-addresses for all cap codes can be programmed with a different colored backlight, giving a visual indication of which cap code is being alerted. There are seven programmable colors to choose from and an “Intensity” feature that creates several different shades of those colors. 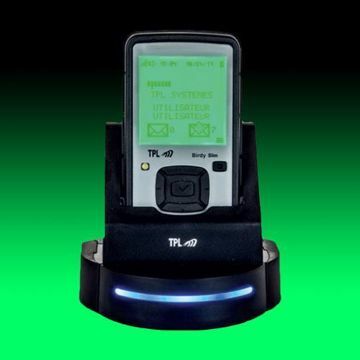 The pager comes standard with a rechargeable battery, belt clip, lanyard, and desktop charger. The charger has a blue LED strip and a contact relay connection for external output. An optional desktop charger and programmer combined unit has a green LED strip and the contact relay connection. You can change the receiver frequency and baud rate of the pager from the user interface. Transmitter parameters that can also be changed from the user interface include the transmitter frequency, the baud rate, and the recipient cap code and sub-address. 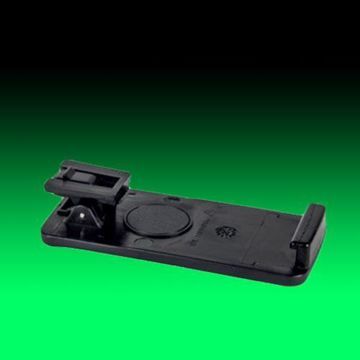 An IP 67 protection rating means the Slim pager has compete protection against dust intrusion and protection from water intrusion if immersed at a depth of 1 meter for 30 minutes. It supports 8 languages (English, French, Spanish, German, Dutch, Danish, Italian, Slovenian), and is powered by a rechargeable Lithium Ion battery. The pager weighs 3 ounces (90 grams) and has the dimensions of 3.8 x 2.2 x 0.7 inches (97.4 x 54.7 x 16.7 mm). 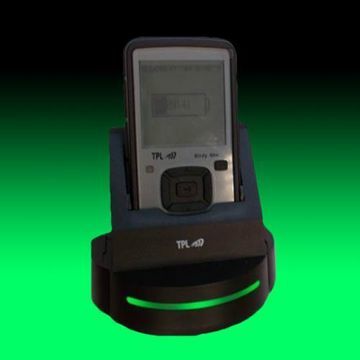 The TPL Birdy Slim pager is powered by a lightweight, 3.7 VDC, 700 mA Lithium-Ion Rechargeable Battery. 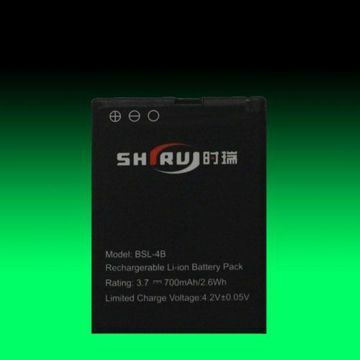 The high energy density and low self-discharge features of the Li-Ion battery make it one of the most popular types of rechargeable batteries for portable electronics.